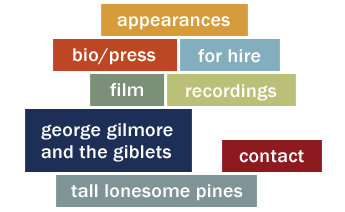 George Gilmore works with a select group of musicians with a wide and varied array of talents. As your bandleader and lead singer, George will customize the band to suit your particular event. From an acoustic trio for your intimate, private party to an 8 man wedding band, George and his guys can genre hop with ease from Rock, Soul, Rockabilly, Blues, Country, and British Invasion, and will slide effortlessly from David Bowie to Dean Martin into a snappy Hava Nagila. Based in Manhattan, George and his guys regularly serve clients in the New York, New Jersey and Connecticut areas, travel the eastern seaboard, and island hop for destination weddings. When booking George Gilmore you are never dealing with an agency, but directly with this caring and experienced bandleader who will listen to all of your concerns, ideas and visions, and help you create the perfect and memorable musical score for your special event. If you’re interested in learning more, please contact George via email at GG@georgegilmoremusic.com or by phone, 917-701-5543. "There is no better wedding music than George Gilmore. 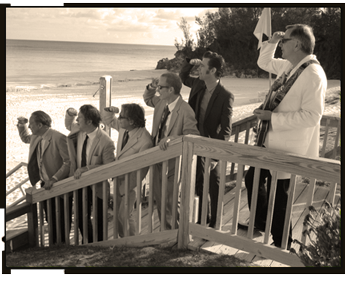 We had a fantastic wedding and a huge part of the fun was George and his band. George is the perfect MC - he's funny, happy and easy-going. And the music is impeccable and incredibly diverse - from standards to rockabilly to high-harmony British pop. But more than that, George has a great feel for how much to lead an evening - so an event doesn't feel rudderless - and how much to stay out of the way - so that the emotion of the wedding is front and center. I honestly can't recommend George enough." "Best decision ever! When faced with a big birthday this year, I decided to treat myself to a big, glamorous party and what made it super fabulous and incredibly fun was the band. George Gilmore and Gilblets brought pure joy and a rocking good time to the night. Everyone danced all night, and sang along with the best R&B, rockabilly, soul and flat out rock and roll. George is a sweet, charming showman who leads a group of fantastic musicians through a thrilling night of entertainment. Loved my party! Love George!"